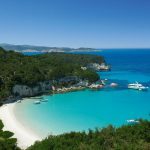 Antipaxos is small Island about 3 kilometers to the South of Paxos. 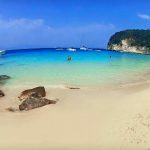 It has three main beaches: Vrika with white sand, Mesovrika (pebbles) and Voutoumi (pebbles) and it can be reached by 15-minute ride with a sea-taxi from the port of Gaios in Paxos. 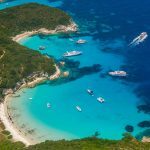 Antipaxos is a hidden paradise, the ideal place to relax and get away from it all ! 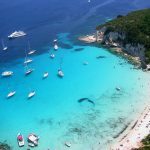 If you decide to stay at this wonderful blue paradise we will help you organise every detail of your holiday! !